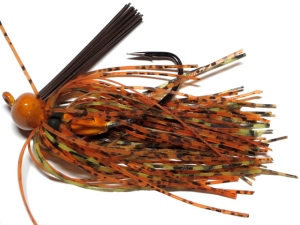 Old Jigger's COPPERHEAD Football Jigs feature a super sharp Mustad Ultra Point Wide Gap hook for better hook ups. Medium weed guard. Fine cut silicon skirts, or a mixture of fine and medium cut, depending on color, and a guaranteed no-slip skirt band. 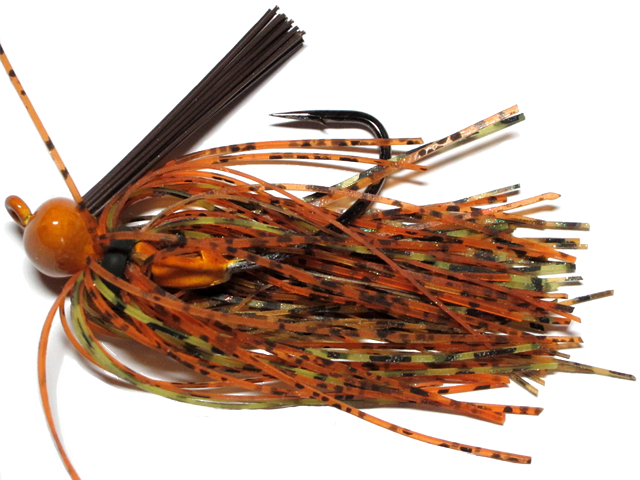 All to create the perfect football jig! Sold one per pack, available in multiple sizes.